If you ever have the chance to try venison, you definitely should. It's similar in taste to beef, but it's much leaner. Some people think it has a gamey taste to it, but I think has a more complex and rich flavor than beef. It's pretty expensive to buy commercially, but my friend Devon scored some from White Sox pitcher Jake Peavy, who is an avid hunter in the off-season. She made some delicious (and spicy!) venison chili when she did a guest post back in "V" week. Since she had some left over, we decided a taco night was in order! Making venison tacos isn't really that different from making ground beef or ground turkey tacos. You brown the meat on the stove, add some taco seasoning and a little water and let it simmer. (I like to make my own taco seasoning from a recipe I found on Kalyn's Kitchen). Since this recipe is pretty easy, we wanted to spice things up a bit and make a quesadilla taco shell. This was inspired by the "Cadillac Tacos" Devon gets at her favorite Mexican restaurant down the street from her house. Basically, you make a simple quesadilla out of two taco shells and some cheese and bake them in the oven until everything melts. Then use *that* to hold your taco meat! Genius! Tacos and quesadillas...coming together for one common, delicious goal. 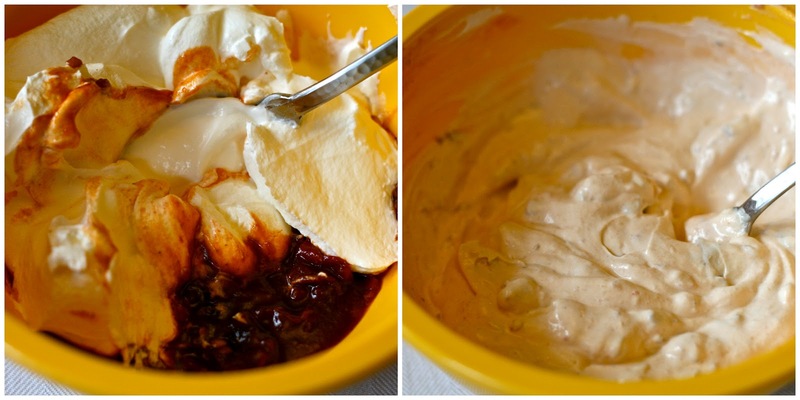 We also whipped up an easy chipotle sour cream by combining chipotle peppers in adobo sauce with sour cream. I love the way the smokiness of the chipotle compliments the rich venison flavor of the meat. Brown the ground venison. Add taco seasoning and a little water if needed. While meat is cooking, make the shells. Sprinkle grated cheese over one side of a corn tortilla and top with second tortilla. Bake in oven at 350 degrees until cheese is melted and shells are warm and slightly crispy. To make chipotle sour cream, mix minced peppers, adobo sauce, and sour cream in a small bowl until well combined. Fill shells with taco meat, avocado, cilantro, and chipotle sour cream. Enjoy! Looks good, curious if you buy Venison, if so where? We got it from a friend who hunts, but I know they sell it at a few butcher shops in the city like Bryan's. It's just very expensive. Glad you are enjoying the taco seasoning!